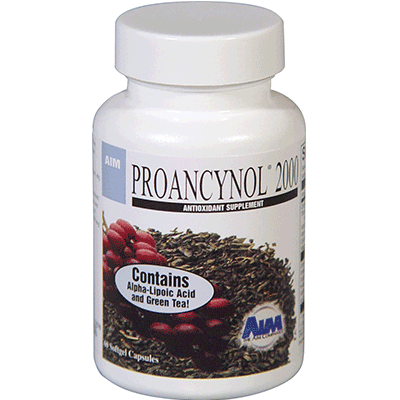 Anyone concerned with overall health and a healthy immune system may consider AIM Proancynol® 2000 an important addition to the daily diet. A unique combination of seven powerful antioxidants – green tea extract, rosemary extract, grape seed extract, N-acetylcysteine, alpha-lipoic acid, lycopene, and selenium – provides you with the best antioxidant supplementation available. These components also work together in antioxidant recycling for enhanced combined effect to fight free radicals.